The Good Life is not always easy. It comes with seasons as well. Sometimes life is abundant with rain. Other times, we experience drought and famine. We get sick. Resources are scant. Tragedy takes us by surprise. But we press on. We know that the seasons will change over that next hill. We also know that what seems like a personal hell is a “momentary affliction” that is actually helping us to enjoy life to a fuller extent. Heart in upper left side. Liver in right side. With lungs being squeezed. Our time of suffering came only two days after our third child was born. He was born at home and the birth was magical to us. No medical interventions, mom and baby appeared healthy. Our son, B, was eating well. All seemed right. Except. He was breathing fast. 80 respirations per minute. As a nurse, I knew that 60 was the average maximum. After two days, we called the midwife. She had us call the doctor. They had us come in. Then admitted us to the Grossmont Rady Children’s Unit. The whole time, Shannon and I were still hoping this was just a misunderstanding. But then the x-ray was taken, and I got a call from his primary doctor. There was a mass on the x-ray, and they didn’t know what it was. 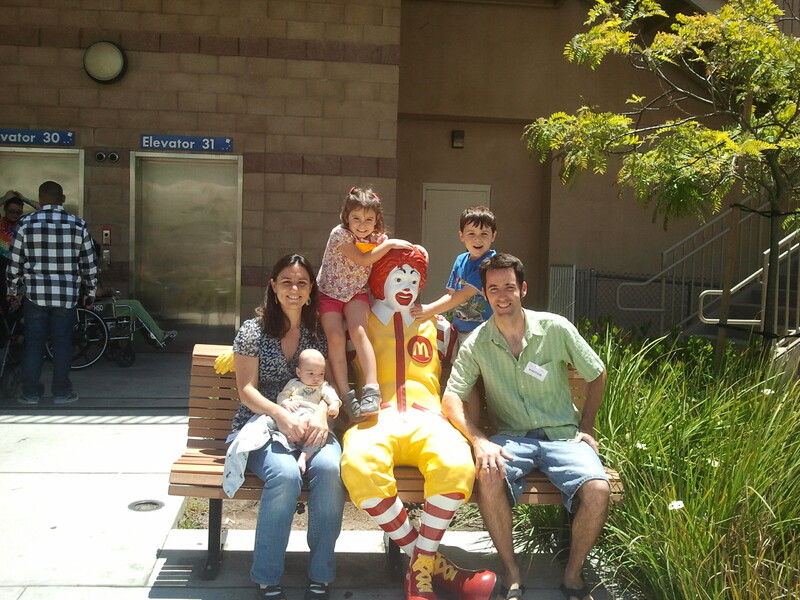 They transported him to Rady’s Children’s Hospital’s main campus in the NICU. We were so scared. I remember crying with my wife as we followed the ambulance to the hospital, not allowed to be with him during transportation. We arrived to the unit and spoke with the doctor. The resident was kind and welcoming, as were the nurses. But they still didn’t know what to make of the x-ray. Shannon stayed at the hospital that night, our kids with grandparents. I slept at the house for a few hours and gathered supplies. A dear friend, JD, called me up and asked how I was. All that came out was sobs. He came over and I wept into his shoulder. For all I knew, my son was about to die. I was scared beyond belief. Beren a few days after surgery. Middle name: Lewis. It means Famous in Battle, named after my grandfather. He earned his name. Somehow, I made it back to the hospital. An ultrasound would reveal what was wrong. 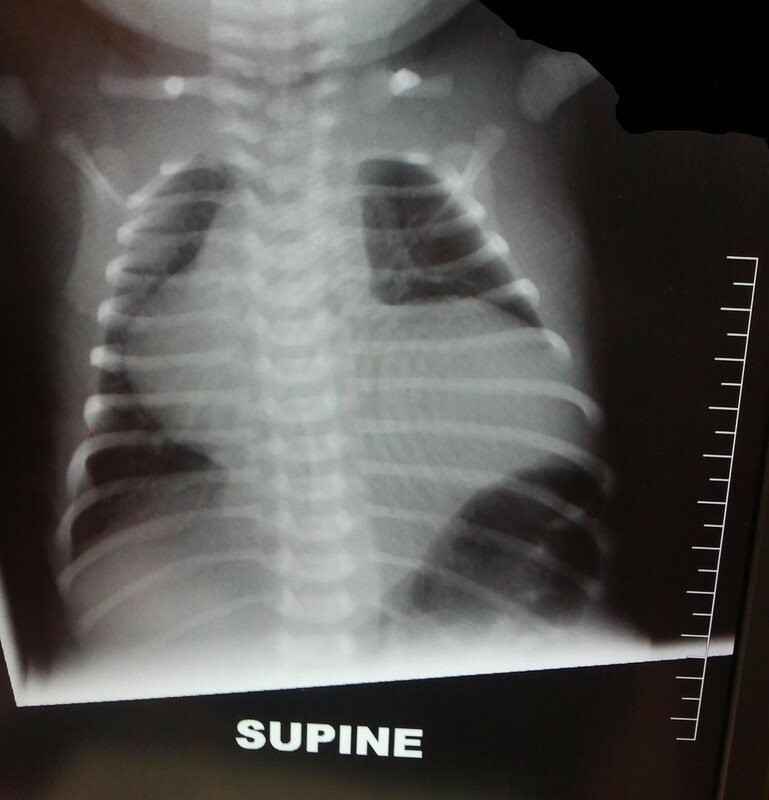 B had been born with a diaphragmatic hernia which had opened during development. For him, this meant he was having to work harder to get enough oxygen and he needed surgery. B had surgery on St. Patrick’s Day. The operation went great; no problems. He was off the ventilator within a day of surgery. Eating mom’s milk three days later. 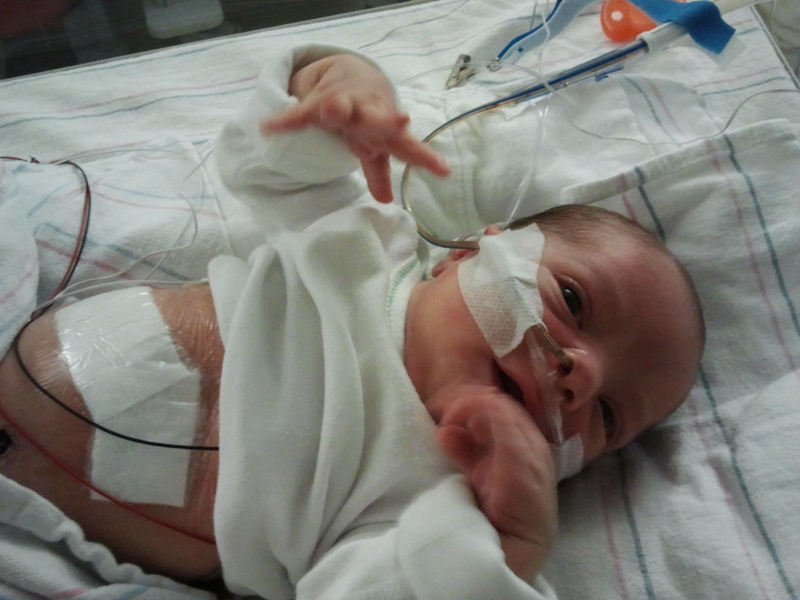 After much frustration and impatience on our part, we were out of the NICU and home within 18 days of admission. Us with the big guy outside of RMH. Love this place, but I hope I never stay there again! Next Post Best Birthday Ever!